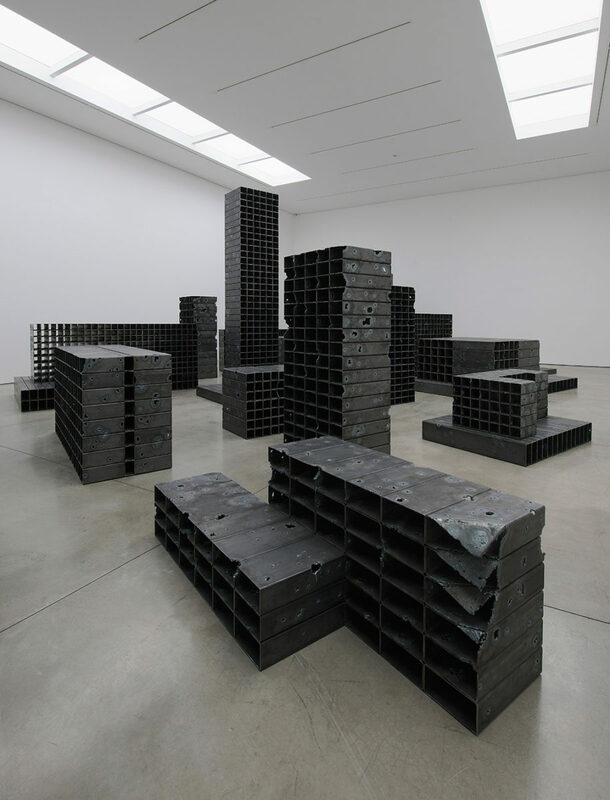 Frieze London has established itself as a pivotal event in the global art calendar. Launched by Amanda Sharp and Matthew Slotover back in 2003, the fair is now directed by Victoria Siddall, whose reputation in the art world was cemented four years ago when she engineered the launch of Frieze Masters. Open from 6-9 October, both fairs will run in Regent’s Park. Frieze London houses booths from 160 galleries from over 25 countries, featuring an astonishing breadth of contemporary art. In conjunction with the commercial event, Frieze Projects is a non-profit programme of artists’ commissions presented annually at the fair. Additionally, this year, a new section dubbed The Nineties, led by Geneva-based curator Nicolas Trembley, will revisit seminal exhibitions from the iconic decade. Something Curated rounds up the most exciting presentations on offer this year, with a focus on London galleries, as well as the inaugural Nineties section and Frieze Sculpture Park. Proceeding a short stint in Mayfair after their Hoxton Square space closed, the gallery has relocated to Fitzrovia. Launched in 2002 by Magnus Edensvard and Vita Zaman, Ibid Projects have showcased young international artists including Olivier Castel, Anj Smith, Daniel Silver and Christopher Orr. 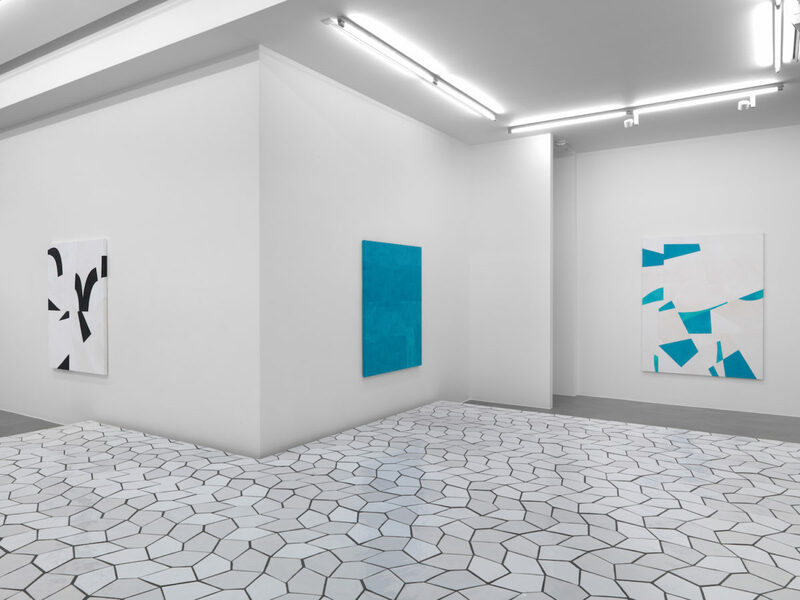 Now Edensvard leads the gallery’s London and Los Angeles spaces solo. At Frieze London this year, Ibid presents works by Devin Farrand, Maria Taniguchi, Yayoi Kusama, Sonia Delaunay and Flora Hauser, among others. Inside every creative is a place that exists only in memory, a retreat for meditation and inspiration. For Devin Farrand, that place is ‘the garage’ where industrial materials and manual labour can be repurposed for the realm of non-functional design. Farrand, an Oregon native, sees a parallel between the garage as ‘a site of personal excavation’ and the old quarries in which he used to play. Filipino artist Maria Taniguchi, lives and works in Manila. Through her voluminous brick paintings, sculptures, and videos, she explores the possibilities of form via a strong investment of both time and labour. Originally founded in Switzerland by Iwan and Manuela Wirth and Ursula Hauser in 1992, Hauser & Wirth is now a global enterprise, with spaces in Zurich, London, New York, Somerset, and Los Angeles. 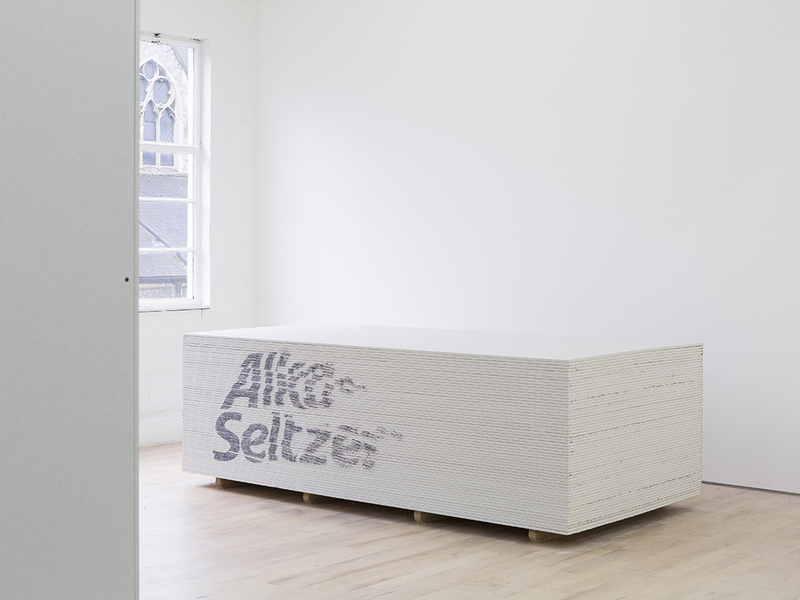 The gallery returns to Frieze London with ‘L’atelier d’artistes’, a tongue-in-cheek examination of the museological practice of reconstructing artist studios, and the tendency to exploit creative licence in the process. The presentation, with its clumsily translated French title, is an exercise in cliché. 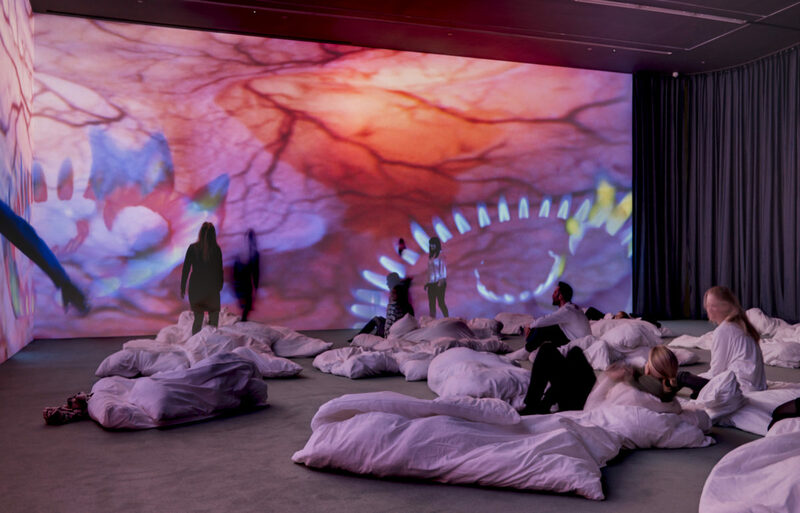 It brings together the work of numerous artists, including Phyllida Barlow, Pipilotti Rist, Bharti Kher, Allan Kaprow and Louise Bourgeois, under the guise of a single artist’s atelier. Whilst each work bears the indelible mark of an individual’s practice, they are united by a shared, muted colour palette and use of raw materials. Seen together in a fictional studio setting they could be crafted by the same hand. Established in 2012 by Jonathon Carroll and Steve Fletcher, the gallery has quickly emerged as a leading platform for contemporary art with an emphasis on multimedia and new technologies. Alongside the physical space, Carroll / Fletcher Onscreen is an online cinema showing curated weekly screenings of artists’ films, scheduled to complement the gallery’s programme. 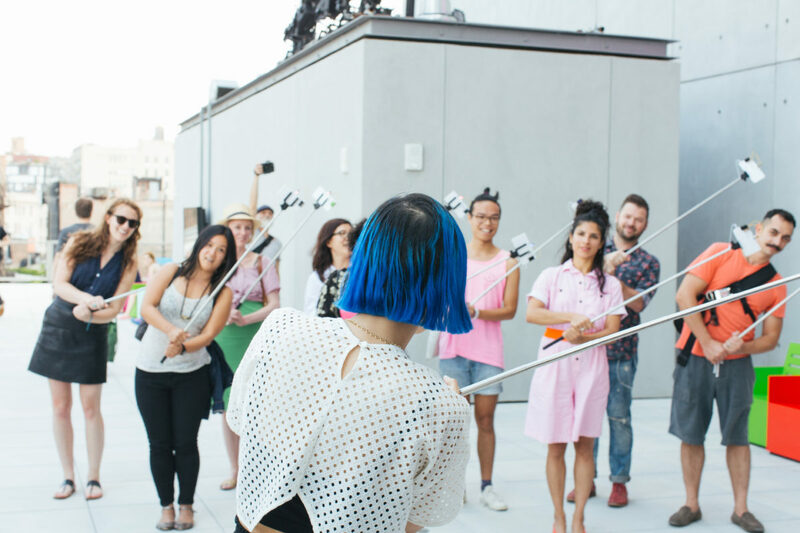 For Carroll / Fletcher’s inaugural participation in Frieze London, California native Christine Sun Kim has devised a new collaborative sound performance, Nap Disturbance, which will be the first of its kind at the fair. Deaf from birth, Kim has made a name for herself with a multimedia practice including drawing, painting, and performance, which teases out the materiality of sound and opens up new fields of perception for both hearing and non-hearing audiences. Much of Kim’s practice to date has centred on what she calls ‘hearing etiquette’. These are behaviours she finds herself adopting to remain within the bounds of accepted social interactions in a hearing world. While she cannot hear them herself, the artist has developed a heightened awareness of the sounds her actions produce. Founded by Australian art dealer Simon Lee, the eponymous gallery launched in Mayfair in 2002. It represents artists of diverse generations whose practices range from sculpture and painting to video and photography. A series of three solo exhibitions by Hans-Peter Feldmann, Paulina Olowska and Sarah Crowner will be presented over the duration of this year’s Frieze London. 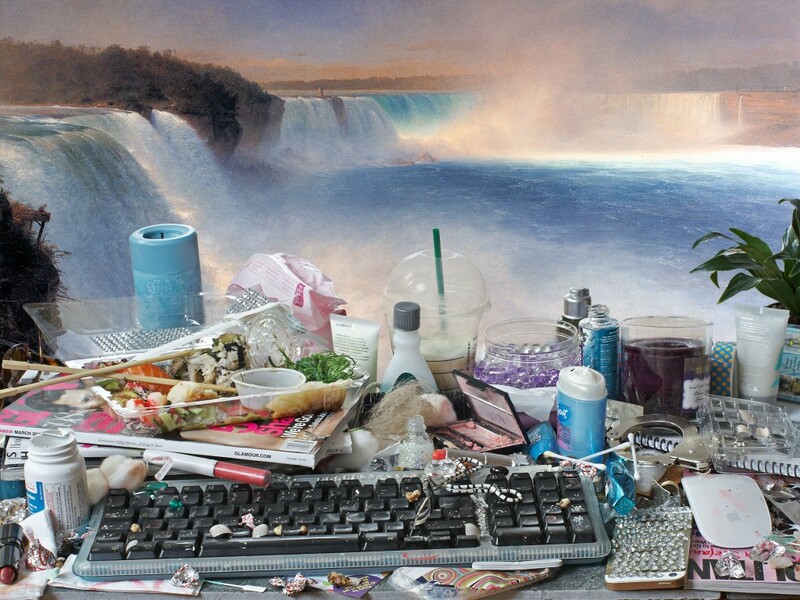 Feldmann is a conceptual artist and compulsive collector and appropriator of found images and everyday ephemera. His oeuvre incorporates photography, sculpture, installation, drawing and painting. Olowska’s work often focuses on forgotten figures of feminism, minor histories, consumerism and popular aesthetics, quoting period fashion photography, agitprop posters, graffiti, periodicals and, signage she also often collaborates with others. Crowner embraces the idea of painting as object and her works embody the experience of architecture and space both within themselves and their display. Each solo booth has been conceived by the artist specifically for the context of the fair. Seventeen, directed by Attilia Fattori Franchini and Margherita Castiglioni, will present a solo booth by Jon Rafman at this year’s edition of Frieze London. The presentation will be comprised of a large sculptural installation with a virtual reality component. Rafman is an artist and filmmaker whose work examines the effects of contemporary technology, particularly on interpersonal relationships. Drawing on the simulated landscapes of computer games, the Montreal native previously created a large-scale artificial hedge-maze populated with digitally manipulated sculptural busts. Owned and directed by Sadie Coles, the gallery focuses on presenting the work of established and emerging international artists, having been at the forefront of the Young British Artists movement. In 2013, Sadie Coles HQ moved to its current location, a 6,000 square feet first floor gallery on Kingly Street in what was formerly the La Valbonne nightclub. Among others, the gallery will present works by David Korty and Uri Aran at this year’s Frieze London. Earlier this autumn, David Korty presented a group of twelve new paintings at the gallery. The works mark both a continuation and a dramatic development of Korty’s Blue Shelf series, begun in 2013, in which he depicted objects on tiered ledges against backgrounds of midnight blue. In his latest paintings, words assume the place of objects. The linearity of text, rather than the horizontality of the shelf, becomes a formal and structural device. After Will Jarvis completed his bachelor’s in Painting at Camberwell College, he teamed up with fellow art graduates Harry Scoging Beer and Tom Cole to set-up The Sunday Painter, which now has its permanent residence in Peckham. The gallery is designed for emerging talent to showcase work alongside established artists. 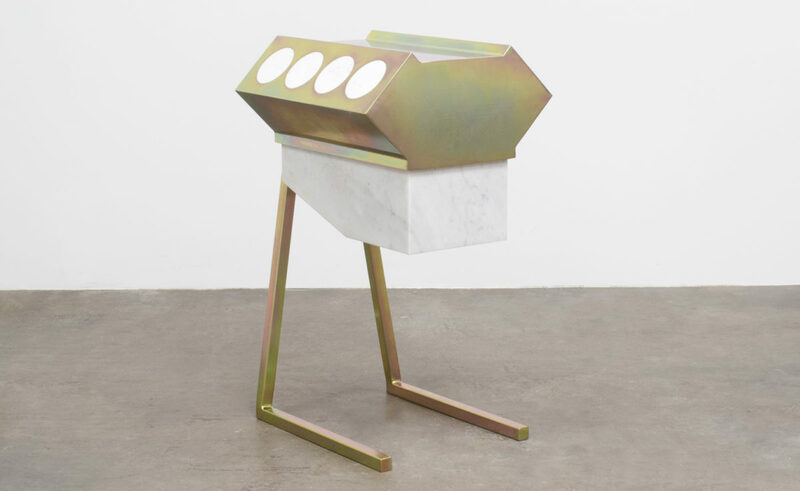 The artist-run gallery has gained substantial success over the past few years, notably receiving much acclaim for their presentation of Samara Scott’s Lonely Planet II at last year’s Frieze London. This year, the gallery will present a solo exhibition by British artist, Rob Chavasse. Chavasse utilises sculpture, installation, and video to create moments of reflection. This might seem like a familiar mode of working, but his work is not the type that is self-aware or quotational, but rather, it is open and vulnerable. His use of the elemental, including water, wind and sky, transform the digital into something emotive. There is an intuitiveness that makes his practice hard to pin down, but if you are open to it, it is capable of generating a near euphoria. Founded by Jay Jopling, White Cube currently has two branches in London, in Mason’s Yard and Bermondsey, as well as a space in Hong Kong. Jopling’s art dealing career progressed in conjunction with his close connection to a number of artists; in addition to his former wife Taylor-Wood, Jopling forged a trusting professional relationship with Tracey Emin and, crucially, Damien Hirst. He has established himself as a key figure in the art world and has been instrumental in repositioning London as the leading international centre for contemporary art. At this year’s Frieze London, the gallery is expected to present works by several artists, including Mona Hatoum and Raqib Shaw. Hatoum’s works explore themes of home and displacement through the perspective of the Palestinian exile, using common domestic objects that often, on closer inspection, reveal menacing qualities. Shaw’s intricate and labour-intensive paintings and drawings combine images of fantasy, sexuality and violence. Incorporating gems, glitter, and metallic paints, Shaw creates not only provocative visual experiences but also an ironic commentary on material opulence. Selected by Geneva-based curator Nicolas Trembley, galleries will revisit seminal exhibitions from the 1990s, highlighting key collaborations between dealers and artists that have had a lasting impact on contemporary art. 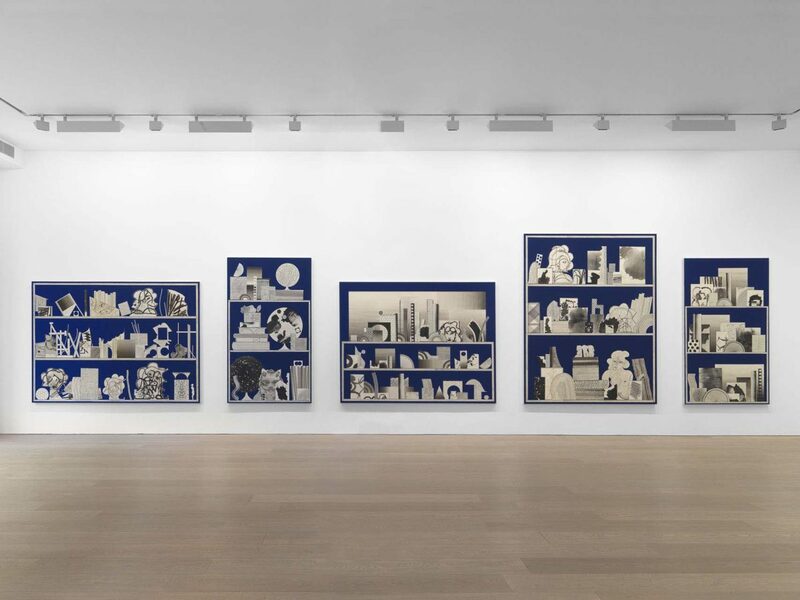 Following significant institutional attention to this decade – from the New Museum’s 2013 exhibition ‘NYC 1993’ to the group show ‘Récit d’un temps court’ currently on view at Mamco, Geneva – this ambitious section will recreate critical moments that first took place in galleries across London, Paris, Cologne and New York. The Nineties features galleries that are both new to the fair and presented within the main section, as well as era-defining spaces that no longer exist. 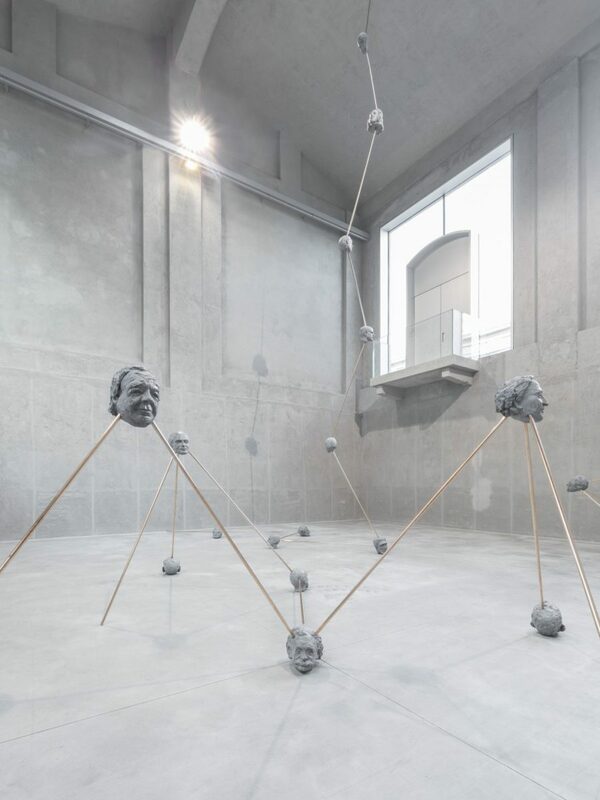 Massimo De Carlo gallery, Milan, will revisit Aperto ’93 – the exhibition at the Venice Biennale conceived by Helena Kontova and Giancarlo Politi, which introduced a generation of artists to the global stage, including Maurizio Cattelan, Carsten Höller and Rikrit Tiravanija. More highlights include Wolfgang Tillmans’s very first exhibition at Daniel Buchholz’s gallery in 1993, then located in his father’s Cologne bookshop, and Anthony Reynold’s 1996 gallery debut of Richard Billingham’s iconic series of photographs ‘Ray’s a Laugh’, which brought the artist to notoriety. 2016’s Frieze Sculpture Park will feature nineteen major artists including Conrad Shawcross, Claus Oldenburg, Nairy Baghramian, Ed Herring, Goshka Macuga and Lynn Chadwick. Curated by Clare Lilley of the Yorkshire Sculpture Park, the outdoor exhibition will be open in Regent’s Park from 5 October 2016–8 January 2017, with free entry. World-leading galleries participating in Frieze London and Frieze Masters will extend their shows beyond the fair, dramatising the landscape of the park, with large-scale sculptures and installations remaining on view until early next year. Historically only showing during the days of the art fair, this year’s planning application confirms the Frieze Sculpture Park as a new fixture on London’s cultural calendar, and one of the largest free outdoor art programmes in Central London.